It is very important when you create a social media press release, you fill out as much information as possible. Please follow the steps below to ensure that you have created the proper press release. Add the region of your release. This is the city and state (or city and country for non-US) where the company in the release is based (ex. Los Angeles, CA or London, England) You may only add one region. For example if your region is New York City, then you would add New York, NY. If you add multiple regions, it will only add the first region and delete the others. The excerpt is a quick overview of your release. A compelling excerpt with your search terms/keywords will improve your search ranking. Keep it under 170 characters. You will not be able to enter more than 170 characters. This is your full release. Limit HTML to: <a> <strong> <em> <ul> <ol> <dl> <a href=”url” text- Please be sure to close all tags. Exclude the contact & boilerplate about information as it will be pulled from your newsroom and added to your release. 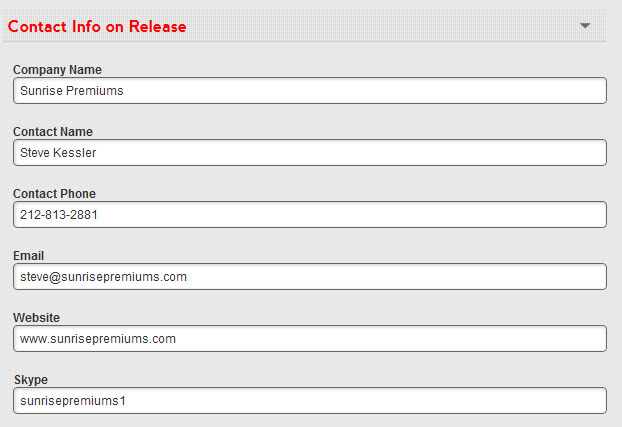 Do not add a date to the beginning of your release. It is automatically added by our system. You can copy and paste your release . 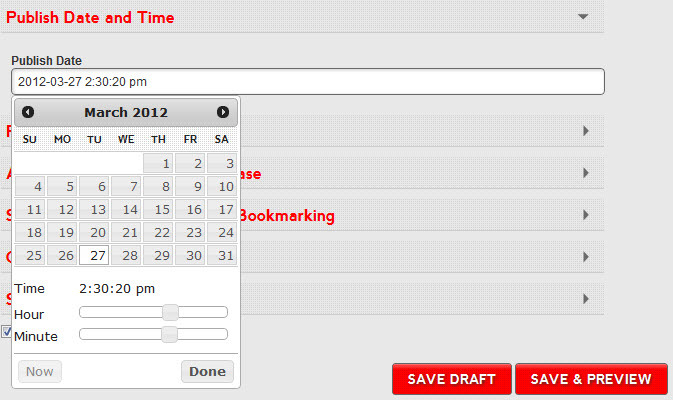 You can also create the release using the HTML tab. This is useful if you already have HTML tags on your release. You van also use the various features to Bold, Italicize, add quotations, add links and even check spelling. 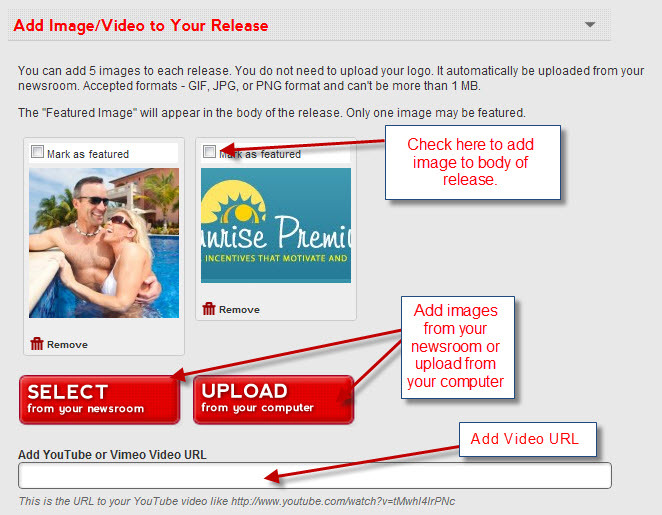 You can add 5 images to each release. You do not need to upload your logo. It can automatically be uploaded from your newsroom or your computer. Accepted formats – GIF, JPG, or PNG format and can’t be more than 200kb. The “Featured Image” will appear in the body of the release. Only one image may be featured. List keyword tags separated by commas. Use keywords someone will use to search for your content on search engines and bookmarking sites. Tags are used by RSS Feeds and social bookmark sites to allow searchers looking targeted information to find your release. Try and be as target specific as possible. This is the contact info that will appear on your social media press release. It is auto generated from your newsroom contact information. however, you may change it on the release. 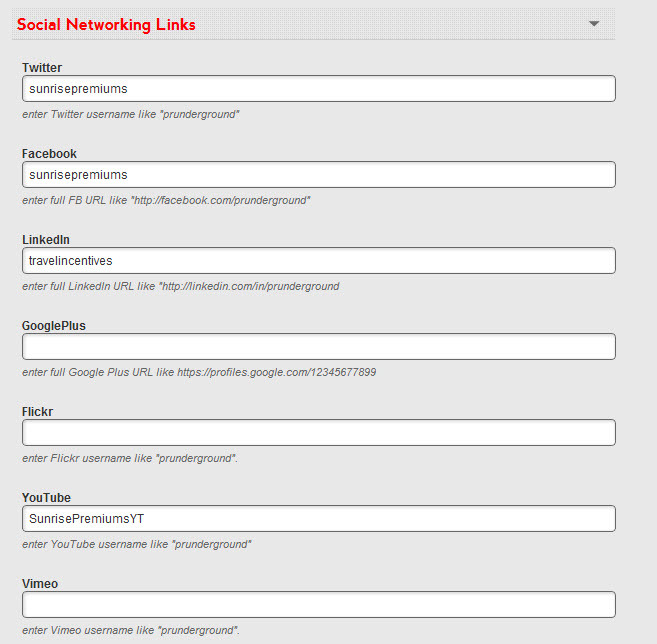 Add all of your social network links. They will appear as icons on your release. When the icons are clicked, it will take readers to your social network website. Great way to gain followers to your networks. Please be sure to read all the information so that creating a press release can be as simple as possible. If you need help with any part of your release, please feel free to contact us and we will answer your questions. Learn how to create the perfect press release here.